Worth a whopping $200-plus, this bulletproof bundle could be yours for free. You know what time it is! ‘Tis the season of giving (aka treating yo’self). To keep our promise of gifting tons of top-notch iPhone cases, we’re kicking off December with another Instagram giveaway. The iPhone XS and XR case giveaways were a smash hit. Now, it’s finally time for the iPhone XS Max case bundle. Cult of Mac hand-picked six wicked cases from UAG, Just Mobile, Encased and Caudabe. Plus we’re throwing in a super-tough 3D tempered-glass screen protector. Sport style and durability with a collection of our favorites. We’re starting off strong with Monarch, priced at $59.99. 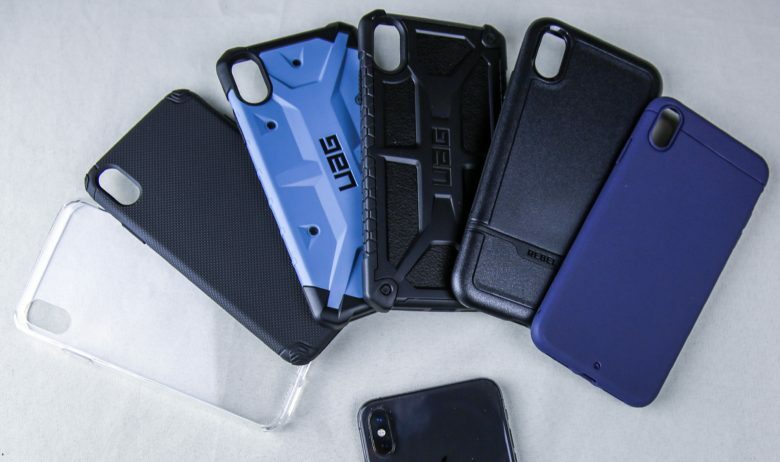 UAG’s case encompasses a premium design and precise engineering to provide a case that meets double the military standard for drop and shock protection. This thing is practically built for war. Handcrafted, feather-light construction with five layers of protection. Top-grain leather and alloy metal hardware. Soft, impact-resistant core and honeycomb traction grip. Tactile buttons and protective screen surround. Meets 2X military drop-test standards. Similar to Monarch, Pathfinder is up for any challenge. It’s UAG’s prime example of gorgeous design and formidable protection. Armor shell and impact-resistant soft core. Tactile buttons and easy access to touchscreen and ports. Scratch-resistant skid pads and screen surround. Combining a crystal-clear hard shell back with shockproof thermoplastic sides, TENC is specifically designed to protect glass-backed iPhones – offering all-round protection from bumps, scrapes and dust. I’ve been using TENC for months now, and it still looks brand new thanks to Just Mobile’s self-healing patent. Reviewed and tested by Cult of Mac, this case packs a serious punch in protection while maintaining Apple’s gorgeous design in all its naked glory. Anti-scratch hard shell PC back. Lasting clarity and anti-yellowing over time. Corner air cushions for shock absorption. Raised corners for back and lens protection. Covered buttons and precision sensor cut-outs. The all new Nova Hybrid case brings together the best of both worlds: serious drop protection wrapped in a sleek premium design. Anti-slip matte surface gives secure comfort in every grip. 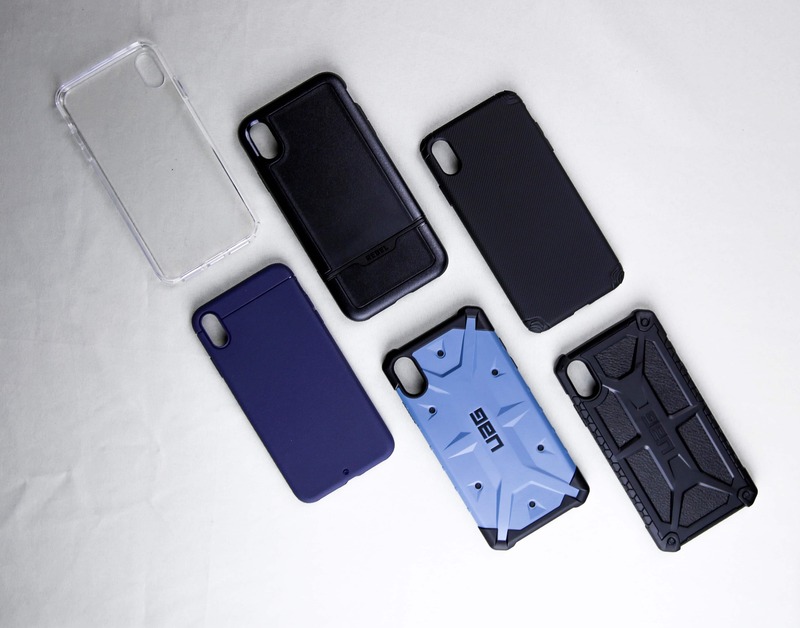 Impact-resistant TPU inner frame with grip texture and PC bumper guard. Responsive easy-press buttons retain the iPhone’s original button click and feel. Precise port cutouts for easy access to all functions, ports and controls. Rebel is a true beast. Drop tested at 10 feet, it’s built to exceed tough military impact standards. With its strong, scratch-proof housing and shock-absorbing lining, the case effectively diffuses shock energy away from your device before it causes damage. Raised lip guard keeps the screen recessed and out of harm’s way. Rugged all-in-one protection with an impact-resistant outer frame and sure-grip TPU subframe. Easy-push buttons retain the phone’s responsive button click and feel. Sheath measures a mere 0.9mm in thickness, yet drop-tested to 6.6 feet. Manufactured from ShockLite, a soft, gel-like, flexible polymer with excellent shock absorption, Sheath is exquisitely slim yet still provides cushion for your iPhone from everyday drops and tumbles. Soft, matte texture that strikes the perfect balance between great feel and excellent grip. Lip that extends ever-so-slightly above the screen for added protection. A thicker, reinforced wall around the charging port to reduce wear over time. One lucky winner will be announced via Instagram!